iOption Partners is the binary options affiliate program for iOption.com trading platform. iOption offers traders Indices, Stocks, Commodities and Currencies (forex) to trade on. The site is available in many languages including English, Spanish, French, German, Arabic, Portuguese, Italian, Turkish, Romanian and Danish. Webmasters get a starting CPA rate of $125 and can go up to $175 for referring over 20 new depositing traders per month. If you send over 50 just ask for a custom CPA rate. The revenue share rates are generous at 35% with no performance clauses to jump through. The program offers a hybrid commission plan of $80 CPA plus 20% revenue share. 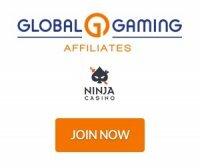 The affiliate program has statistics to show your clicks, signed up users and first time depositing traders. Webmasters can get tracking links, gif banners and dynamic flash banners. For any additional marketing materials just ask your affiliate manager for more information. The iOption.com brand is an attractive one for traders. The site is available in many languages and provides useful information especially for new traders.